the soul, love, creativity and passion one puts into their work. Farmacy: American English, noun and adverb. The best kind of place. Where the practices of sowing seeds sparks the arts of creating spaces for thriving biodiversity. The preparing, preserving, compounding and dispensing of plant medicine that honor natural rhythms and interdependent relationships. The honoring of your sacred physical body and our friends in nature. A reminder of how powerful you are, how our communities, families, you and your body deserve only health and nourishment. 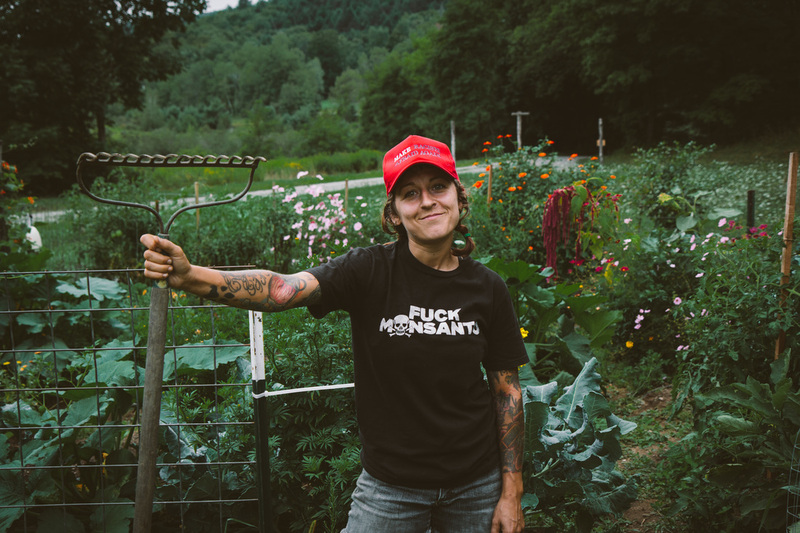 Meraki Farmacy is located in Guilford, VT since 2015 and owned by Chief Dream Officer and Laboress Lucia Hawkins, a jane of many trades working on mastering the ways of harm reduction in the pursuit of more moments of wholeness for people, plants, places and communities. A biologist, educator, innovator and restless maker, Lu offers Meraki as both love letter and call for resistance and protest to oppressive and harmful systems. It’s more than just soap.